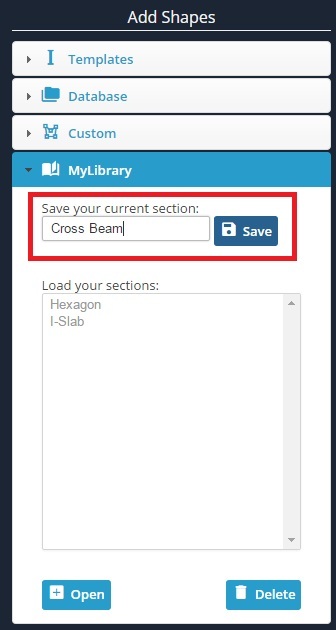 You can save and load your sections for future use in the 'MyLibrary' menu. If you've created a section that you'd like to reuse for the future (or continue to work on later), it is worth saving the section. 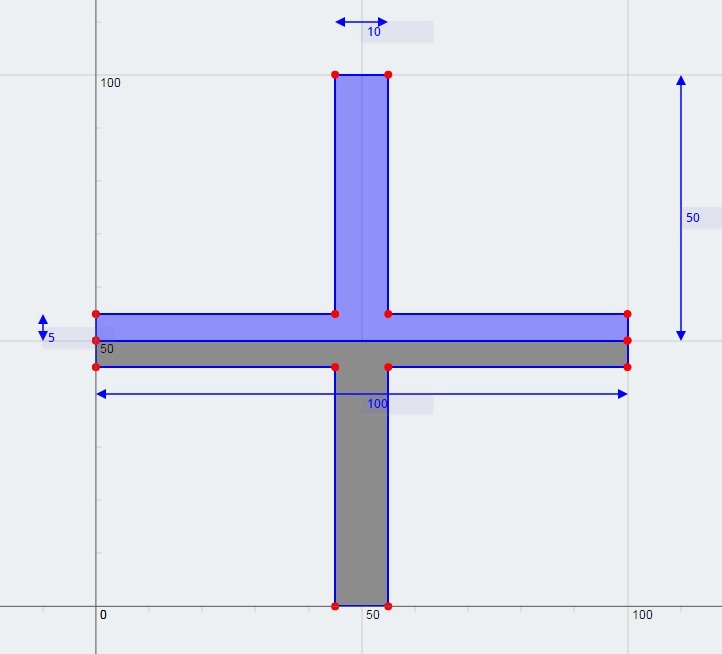 In this example, two T-Beams have been added to create a cross beam. 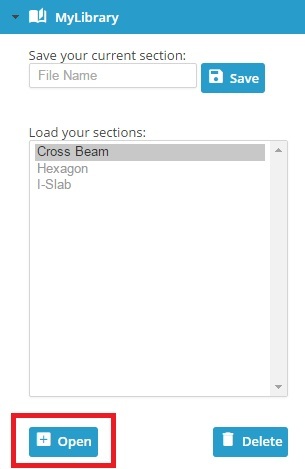 To save the section, expand the 'MyLibrary' menu, type in a name for your section, and click the 'Save' button. A pop up will appear to confirm that the section has been saved, and you'll notice that the section now appears in the bottom menu. 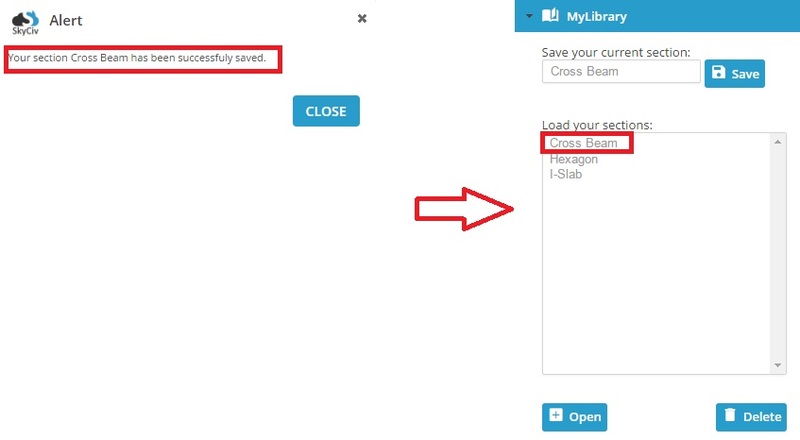 To load a section, simply select any of your previously saved sections, and either double (left) click or click the 'Open' button. To delete any of your saved sections, simply select the section, and press the 'Delete' button.